Bouquet2Art transforms your bouquet into a very beautiful and uniquely meaningful piece of art for your home. 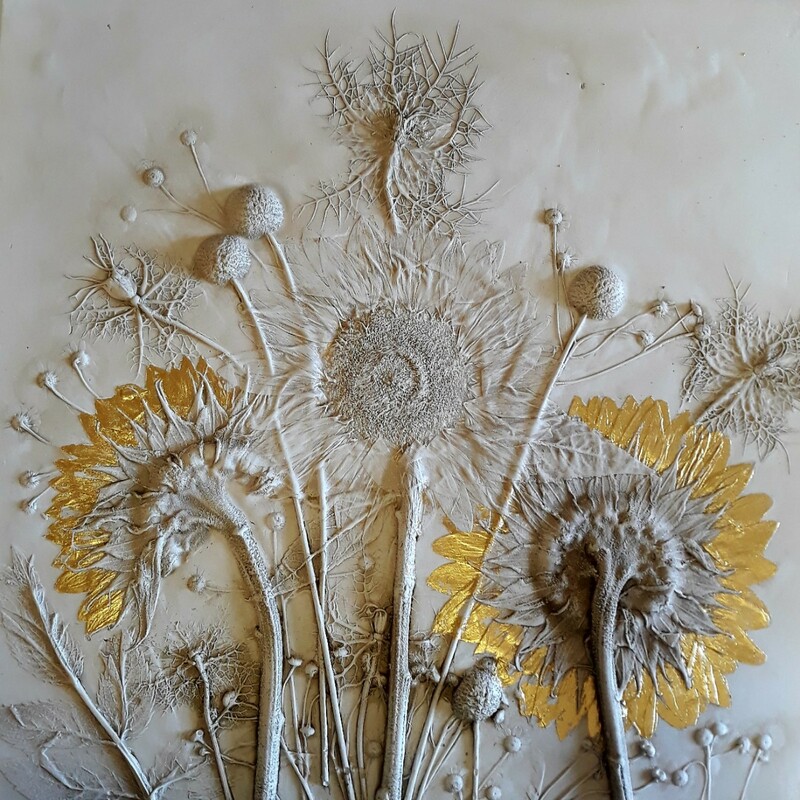 Selected by the Crafts Council of Ireland to appear at Bloom 2018, Bouquet2Art is the brainchild of artist Erica Devine. Bouquets, or buttonholes, are brought to Erica as soon as possible after the wedding. She uses them to create plaster casts that are either left in their natural colour, painted or gilded. This is a special gift idea for the bride and groom, particularly from their families. Commissions have included a picture formed from the gardens of both bride and groom, brought together as one. Erica is based in a studio surrounded by plants and flowers and her two pet pigs, Atticus and Button Hoo, who help with the gardening now and then. A trip to the studio is a lovely experience in itself. Please feel free to call or email to discuss what you would like done. An appointment should be booked in advance for immedately after the wedding to ensure Erica can fit you in. Wishing you every happiness and hoping you have a fab day! !